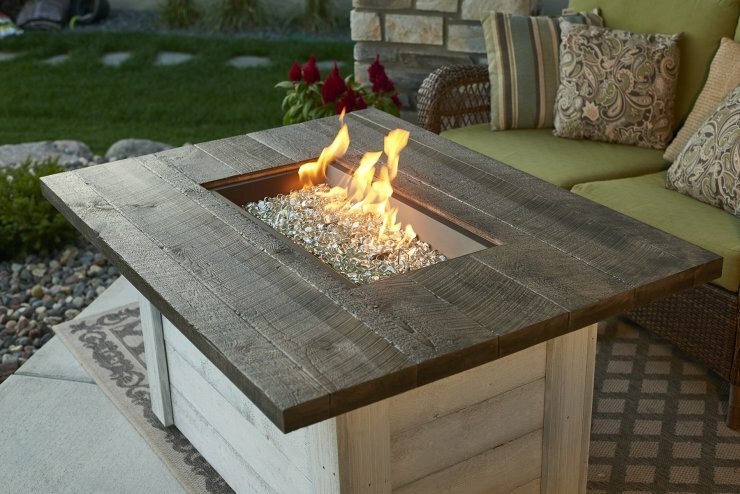 The Alcott Gas Fire Pit Table has a modern farmhouse aesthetic that features an Antique Timber Supercast™ and a White Washed shiplap base. With a 12×24″ Honey Glow Brown burner, the Alcott delivers a warm glow that is relaxing and enjoyable. 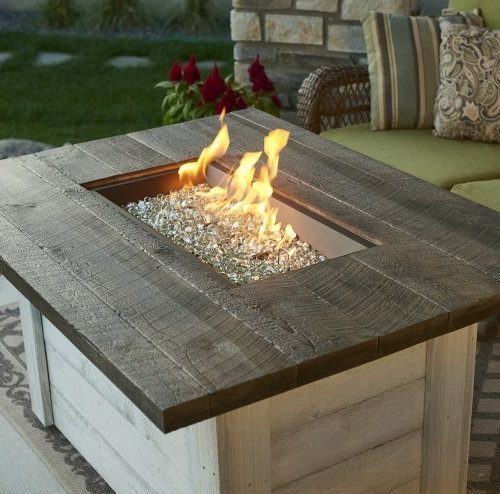 This gas fire table brings together a rustic and contemporary look that will have you in love with your outdoor space for years to come.